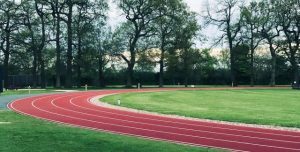 After the success of our previous track sessions, we are holding another ten track sessions at Ratcliffe College (post code is LE7 4SG) which is accessed via the A46. There is a one-way system through the school campus – you will need to follow the road through the campus, heading for the sports hall car park which is adjacent to the track. There is room for 45 cars in this car park. A set of sessions are booked on Friday evenings 7.00pm-8.00pm from 5th April until 7th June. Members should aim to arrive early for their first session so we can explain things without using up track time i.e. 6.45pm. If members want to wear spikes the maximum spike size is 6mm. These sessions are for all ability levels and are free to all club members as the club is funding the cost of these sessions.